On day 21 of National Novel Writing Month, I have a day off work. Yesterday I told myself that I would use this day off to catch up and write approximately 10,000 words. It seemed sensible, wise and infinitely doable. Today, however, this is actually the first time I have sat at my keyboard. Not a good start to the 10,000 words bearing in mind that it is already 11:43. I haven’t done anything of great import with my morning, I’ve read a book, The Reader, I’ve had tea and toast and played with Tilly, I’ve had a shower and I am now sitting here with wet hair. Now, I will no doubt find some un-urgent chores to attend to thus increasing the pressure upon myself to complete the word count. In the meantime, I hope you have hit your stride and are writing the new bestseller. Have to confess I actually had no idea what this book was about before I started reading it. The only press I’d seen regarding it was negative comments owing to it not being a children’s book. Which I personally thought was a bit odd – what gives anyone the right to dictate to an author which genre they ‘must’ write in? So, I was actually under the impression that this was to be a shag-fest, swear-fest of a book, possibly about temporary office workers, (insert suitable reference not judging a book by its cover here 😉 ) and was therefore a little surprised to find myself reading a book about a vacancy at a Parish Council. Not at all what I expected but a charming little (massive) book which leads you an a journey through the lives of the villagers of Pagford. This is a gentle read with lots of characters and intricately woven story threads which all pull together as you read on. Overall it lacks the punch of the Harry Potter novels but as a standalone book it is a good, if bitter-sweet, read. When Jane Roberts is found dead in a woodland area Detective Sergeant Laura McGanity is first on the scene. The body bears a chilling similarity to a woman – Deborah Corley –murdered three weeks earlier. Both have been stripped,strangled and defiled. When reporter Jack Garrett starts digging for dirt on the notorious Whitcroft estate, he finds himself face-to-face with Jane’s father and gangland boss Don who will stop at nothing until justice is done. It seems that the two murdered women were linked in more ways than one and a dirty secret is about to surface that some would prefer stay buried. 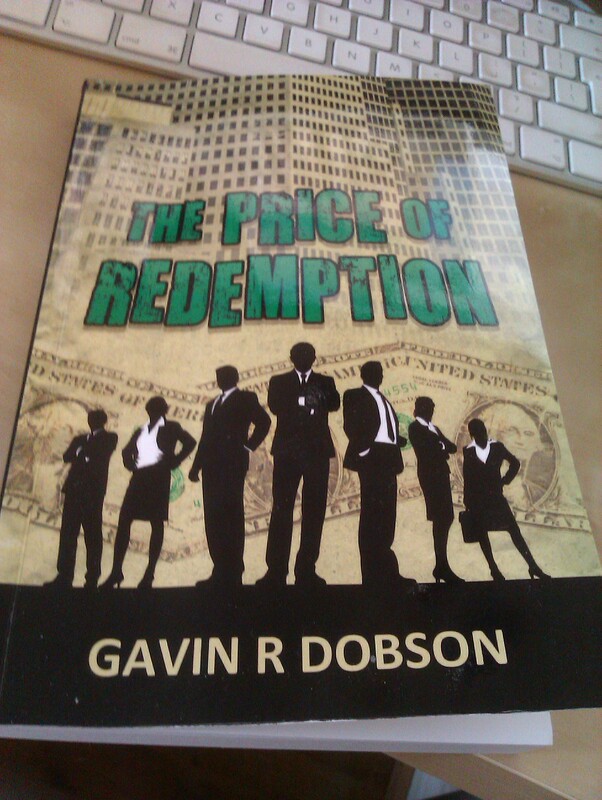 I enjoyed this book, it had engaging characters and a horrible storyline! I really liked the dynamics between DS McGanity and her reporter boyfriend. That is until I read the blurb for the next book and realised that yet again it is she who solves the case after he somehow receives exclusive clues. That means it will be the exact same book but with slightly different suspects. Hmmm. And yes, I know that there are other series out there which I love and therefore it’s the same DS who continually solves the crimes, but, I think it’s the fact that it’s a cop/reporter relationship and the reporter ALWAYS happens across very vital information and is brave enough to dive in headfirst to solve things. I loved that about this book (hey, no one said I wasn’t a contrary Mary) but I just don’t know if it would be insulting for it to keep happening? Maybe I just need to read another one and find out. Anyway, this book, well woven story with lots of little bits and pieces that kept you guessing. If you like crime thrillers then you’ll like it. Simples. What can I say about this book….. it certainly does sound like hell, I’d hate to live there! Intelligent, witty and well observed – it offers a tale of the ‘idyllic’ lives of the rich and/or famous. I think the most worrying aspect is that it is probably a perfectly good example of some real lives in that area. How draining to have to be so fake and pretentious all the time; while shagging your neighbour’s husband and being blissfully unaware that she is shagging yours. That about sums it up really. I have so looked forward to this book! The official blurb: Joey McCarthy is stabbed to death in a pub car park in a random act of violence. Shortly afterwards Charlotte Stone’s terminally ill mother dies and then, within weeks, two of her teenage friends commit suicide. With her home life disintegrating and both her father and brother racing towards self-destruction Charlotte realises that her own personal nightmare may not be over yet. After reading only a few pages of The Silence I remarked to my partner that this was “her [Alison Bruce’s] best book yet!”. I’ve been hooked on this series since book one but it seemed to me that in this book Alison’s writing has taken on new a depth; it seems more confident, more accomplished and the book seemed (to me) to move at a different pace to its predecessors. Just when you think you’ve got a handle on the pace and direction, hold on tight as half-way through it seems to go up a gear and bursts forward shifting the whole focus of the story and racing towards its conclusion. I thought Goodhew seemed a more sensitive soul in this book and his memories of an earlier car crash showed us a new side to him and helped (in my head at least) to further define his enigmatic but oh so likable personality. There were a couple of things in the book which I felt were ‘left hanging': DI Marks was very thoughtful and brooding throughout the book and although a brief explanation was proffered, it felt to me as though there was more to it; also, I was expecting fireworks between Goodhew and (the deeply unpleasant) Kincaide especially after Kincaide sinks to a new low with his malicious lies but Goodhew seemed to let it go. I wonder if both of these are being saved up for the next book? The Silence very quickly had me hooked and, as usual, attempting to guess the outcome! I thought it was very clever the way the story constantly seemed to circle the central characters from the student house and I enjoyed the dynamics and differing personalities within the group. Except for Oslo, one word, ewwww! I thoroughly enjoyed The Silence and can’t wait for book 5!